Then He Kissed Me, He's A Rebel, Chains, Stop! In the Name of Love all these songs capture the spirit of an era and an image of "girlhood" in post-World War II America that still reverberates today. While there were over 1500 girl groups recorded in the '60s--including key hitmakers like the Ronettes, the Supremes, and the Shirelles - studies of girl-group music that address race, gender, class, and sexuality have only just begun to appear. 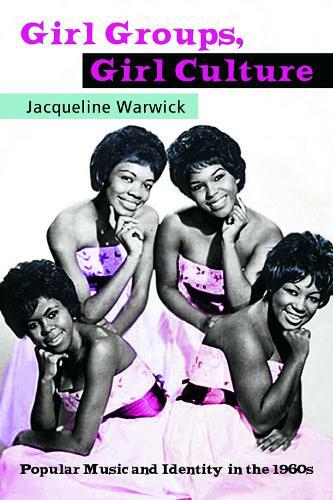 Warwick is the first writer to address '60s girl group music from the perspective of its most significant audience--teenage girls--drawing on current research in psychology and sociology to explore the important place of this repertoire in the emotional development of young girls of the baby boom generation. Girl Groups, Girl Culture stands as a landmark study of this important pop music and cultural phenomenon. It promises to be a classic work in American musicology and cultural studies.